It appears that Canada's Immigrant Investor Program (IIP) will be no more. Up until 2012, the IIP offered 2,500 visas a year to affluent foreign nationals — mostly from China — who simply invested $800,000 into Canadian government coffers for a period of 5 years. The popular program, however, was suspended in July 2012 due to excessive processing backlogs. Now, according to the Globe and Mail, Finance Minister Jim Flaherty will announce — as part of Budget 2014 — that the program will be shelved for good. "Sources say the government believes the immigrant investor class of newcomers pays significantly less taxes over the decades than other economic immigrants, have less proficiency in English or French and are less likely to actually reside in Canada than other arrivals." Most Western countries have an immigrant investor programs who some disparage as a 'visas for sale' program. The United States, for example, has its EB-5 Regional Centre scheme, which allocates 10,000 Green Cards a year for individuals who invest $500,000 into one of over 200 US Government designated investment funds across the country. The justification for such programs — all around the world — is that they create jobs. According to the Association to Invest in USA (IIUSA), the EB-5 program accounts for the creation of over 95,000 American jobs since 2005. Moreover, IIPs buoy a country's economy by welcoming high net-worth individuals who spend lots of money to buy houses, cars and other luxury items. In fact, according to a March 2010 study, Canada's IIP provided an annual economic contribution of $2 billion. Toronto-based immigration attorney Michael Niren argues that the government's decision is short-sighted. "This is typical of the government's mentality seeing immigration as primarily a source of tax revenue. In their wisdom the government has deemed the investor program for Canada as not yielding enough of a return on investment to continue with the program. But consider the facts," he told Yahoo Canada News in an email exchange. "Why would any county close the doors to high net worth individuals who are required to invest 100s of thousands into the economy as part of the visa process? Makes no sense at all. 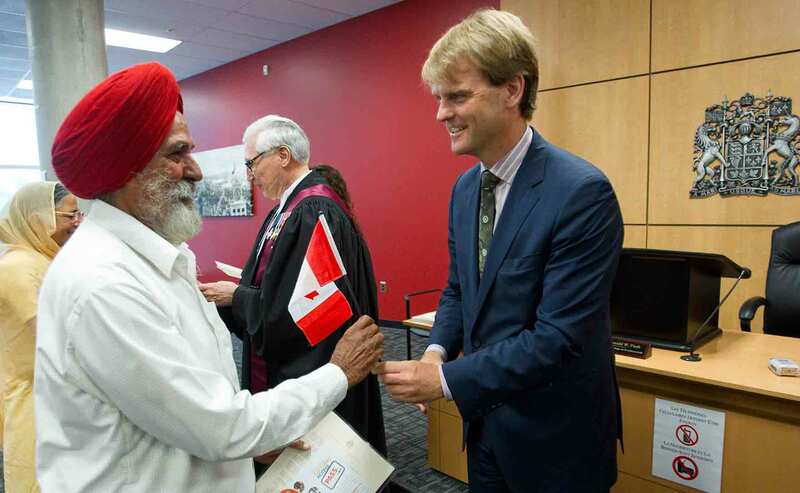 These immigrants and their families are a great resource for Canada on all levels. "The problem with the investor program is that it has been mismanaged from the start. Investor programs work if they are managed right." Flaherty is set to unveil his Economic Action Plan 2014 at 4 p.m. (EST) on Tuesday afternoon. Come back to Yahoo Canada for complete budget coverage.